Yoga Saunas have some distinct differences to the more traditional styles of saunas. To begin with, a Yoga Sauna usually features a larger and more spacious interior, which allows yoga routines to be performed easily inside. Yoga Saunas also often feature additional features, such as removable bench seating and heated floor mats to provide more options for performing yoga routines. As the focus with Sauna Yoga is on heat rather than steam, water is not thrown on the stove during the yoga session. 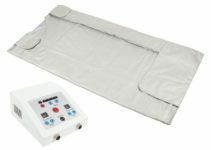 This makes Sauna Yoga more suitable for saunas that provide their heating using infrared methods. Many Yoga Saunas also include more contemporary design features than other traditional saunas, such as large glass windows and frontages. • 2. Who Is Sauna Yoga for, and What Are the Health Benefits? As one of the most exciting new health and wellness therapies, Sauna Yoga is quickly gaining in popularity. The therapeutic qualities provided by a traditional sauna have been known for a long time. In addition to this, the range of mental and physical health benefits provided by gentle exercise such as yoga are huge. Sauna Yoga is typically practiced over a period of around 30 minutes while seated within a specialist Yoga Sauna. The sauna provides an adequate heating temperature of around 50 degrees Celsius. All of the yoga poses start from the sitting position and focus on strengthening the middle and lower body muscles. The natural warming of the muscles and increased blood flow provided by a sauna promote the ideal environment to allow the body to become more limber and flexible, creating the perfect partner for any yoga workout. As sauna therapy and yoga are both also focused on peace and relaxation, the combination of sauna and yoga work very well together. Who Is Sauna Yoga for, and What Are the Health Benefits? Sauna Yoga is suitable for a wide range of people of differing ages and fitness levels. The combination of yoga-based poses and the therapeutic peace and tranquility provided by a sauna make it popular with people who wish to de-stress, relieve tension, and remove themselves from their busy daily lives. However, Sauna Yoga is also ideal for those who already practice yoga and wish to expand their yoga technique, or improve their personal fitness. That’s because Sauna Yoga can combine with the benefits of a regular sauna to help promote weight loss and improve metabolism more effectively than traditional yoga can. Sauna Yoga can also be useful for those who may struggle with the flexibility and stretching required when performing traditional yoga. That’s because the mild heat provided by the sauna can assist with loosening the muscles, allowing them to become more limber and flexible. When choosing a Home Yoga Sauna, it’s important to think about your requirements carefully. As with any other type of sauna, the quality and ease of assembly of any product that you buy is essential. Safety features, such as built-in timers and maximum heat controls are also very important features to consider. A good Yoga Sauna should also be spacious and versatile as you may require more space than a regular sauna to perform yoga poses comfortably and effectively. Options such as removable bench seats can be very useful with this, providing the ability to convert a traditional sauna into a Yoga Sauna quickly and easily. In addition to this, other features such as audio and media inputs can be extremely useful if music plays an important part in your yoga routine. The therapeutic benefits of taking a relaxing sauna have been well known for many years. When it comes to health and personal well-being, saunas have been the perfect partner for a wide range of other treatments, such as massage and yoga. More recently, there has been a dramatic growth in the number of people using specialist yoga saunas, which allow individuals to maximize the traditional health benefits of a sauna to perform a more effective yoga workout. That is because the natural warming of the muscles and increased blood flow provided by a sauna create the perfect environment for the body to become more limber and flexible. The ClearLight Sanctuary Yoga Sauna is at the cutting edge of sauna technology. With an Italian designed full glass frontage, it is clear that contemporary style and quality have been built into this impressive product at every step of the way. Manufactured from attractive Canadian Red Cedar using furniture-grade cabinetry, this sauna has a very high-end and luxurious feel to it. What makes this amazing sauna even more exclusive is that it claims the accolade of currently being the only true Full Spectrum Infrared Sauna on the market today, featuring advanced near, mid, and far infrared technology. 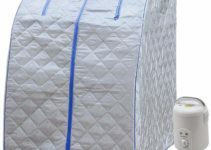 This allows the ClearLight Sanctuary Yoga Sauna to provide heating at all wavelengths, creating the optimal heating conditions for a perfect sauna at around 20 times the heating power of its competitors. State of the art digital heating controls operate the True Wave II™ carbon/ceramic low-EMF heaters in the back and side walls of the sauna while the Clearlight True Spectrum™ full spectrum heaters provide warmth to the front of the sauna. The heaters can even be operated using the sauna’s very own optional tablet and smartphone app, allowing the user to operate the sauna remotely. In addition to this, ClearLight provides consumers with an amazing range of additional technology and equipment that seems fitting with a sauna of this quality. 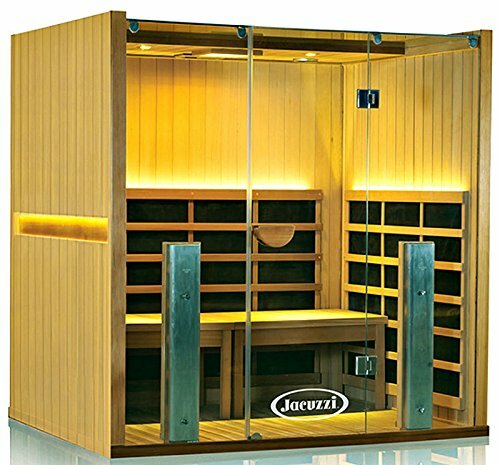 Featuring a built-in charging and audio station, medical grade Chromotherapy, and a 36-hour reservation timer, this sauna is very impressive. Where the ClearLight Sanctuary is truly unique is its ability to convert seamlessly from market-leading sauna to a fantastic hot yoga room. The two 35″ benches can be easily removed to reveal the sauna’s spacious interior, which is emphasized by the light and open feel provided by the glass frontage. The built-in heated yoga mat floor allows the yoga sauna to quickly become a sanctuary of comfort and peace. There really isn’t anything else quite like it.